Learn every common chord progression for songwriting and jamming. Master open and barre chords that add depth and excitement to your music. Learn a musical short hand that lets you play any chord sequence in any key! 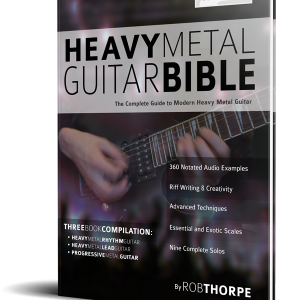 Are you struggling to write songs, or do you want to develop chord knowledge for jamming on guitar? Are you missing out on gigging opportunitiesbecause your knowledge of chord progressions is limited? 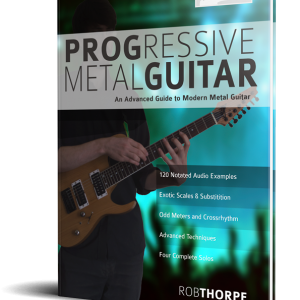 Do you need to apply guitar chord progressions musically, or supercharge your creativity? Do you want to immediately recognize and play any song on the radio? Is it time to develop versatilityin multiple popular guitar styles? First Chord Progressions for Guitar breaks down the barrier between boring theory and exciting musical application. 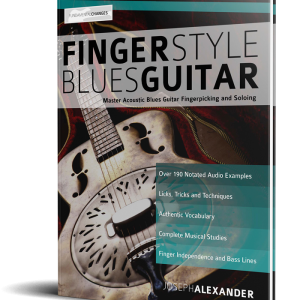 It is a direct, hands-on guide that gets you playing creative chord sequences on guitar…instantly. With detailed chapters on Pop, Rock, Blues, Funk, and even Jazz chord sequences, you’ll always have the perfect chord sequece to play when a creative moment arises. 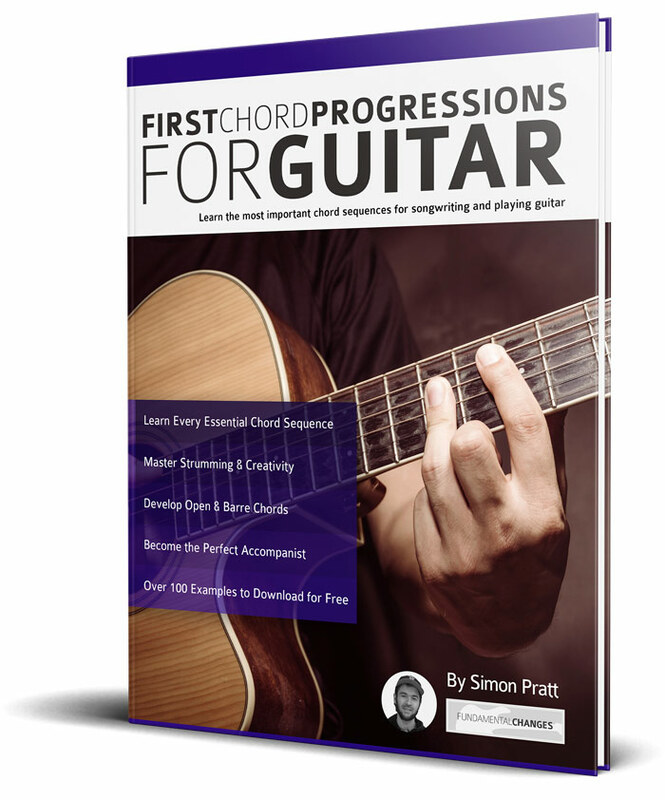 As well as learning chord sequences on guitar, you will also learn plenty of picking, strumming and rhythmic techniques so you can get inside the chord progression and lock in with the band. Once you have learnt each essential chord sequence, you will be taught to instantly play it in any key… There’ll be no more problems with awkward singers! 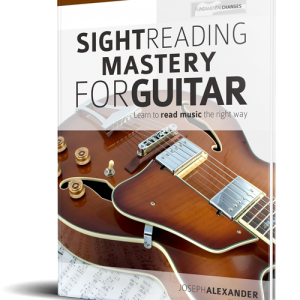 You’ll master the music, then master the theory of chord sequences on guitar for a lifetime of exciting creativity. Breakdown and practical application of the 20+ guitar chord sequences that comprise over 90% of modern music. A complete guide to understanding and applying chord sequence theory. One instant trick to help you play any chord sequence, in any key. A dedicated section on beautiful, lush, open chords that will make your audience cry out for more. 12 backing tracks to help you hone your guitar chord skills. A creative guide to using chord fragments: Use the minimum of notes to lay down the maximum of groove. Bonus One: Four perfect routines that let you dominate your practice time.